1-13/16 in. Antique Brass Single Prong Robe Hook Organization with style has never been so easy. This metal hook is designed to hold a wide variety of items coats, hats, handbags, umbrellas, towels or robes. This classic design is perfectly suited for any room from the entryway to the bathroom. 1-13/16 in. 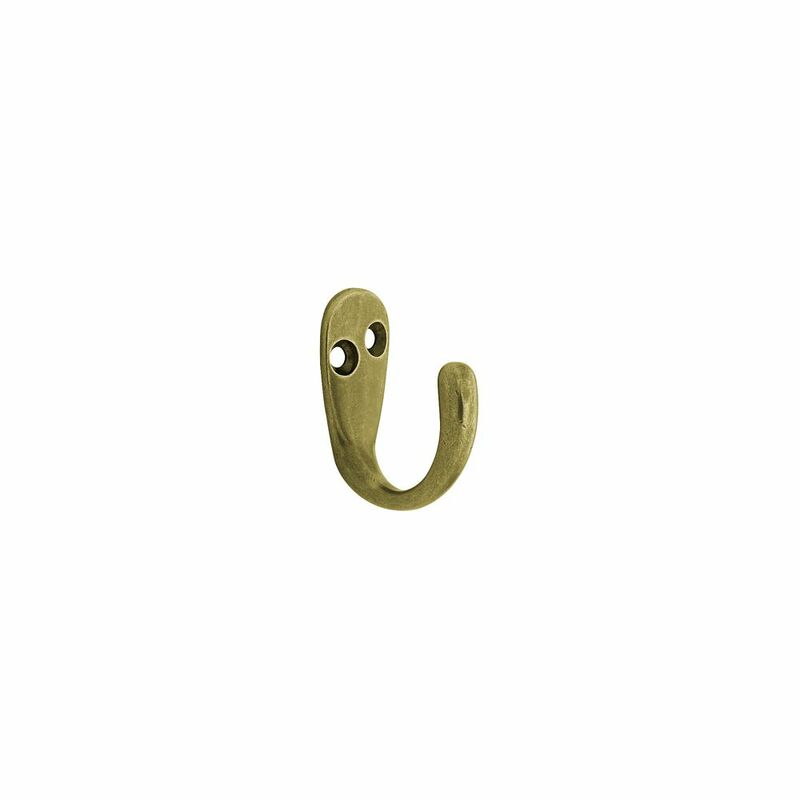 Antique Brass Single Prong Robe Hook is rated 4.8 out of 5 by 5. Rated 5 out of 5 by Majesty4 from This Antique Brass hook is the perfect piece for a custom project I'm doing. This Antique Brass hook is the perfect piece for a custom project I'm doing. Rated 5 out of 5 by William from Color matched perfectly. Received just what i wanted... without freight... Color matched perfectly. Received just what i wanted... without freight charges in just a few days. Worked out nicely. Rated 5 out of 5 by JoeV from Very soft appearance and heavy duty! Very soft appearance and heavy duty!